The easiest bale to use. 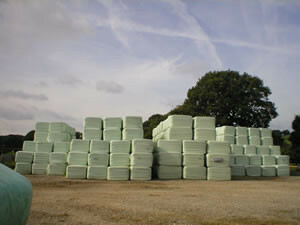 Bales can be delivered, stacked and used without any extra handling. Cut the plastic on the end of the bale on three sides to leave a door. Cut the strings and remove haylage in layers. Dead easy- no hassle. Bales will fit through a stable door. 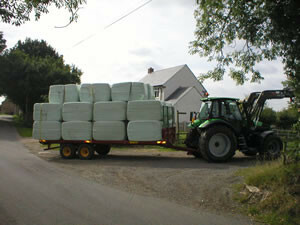 Small or large loads delivered to suit you. Below is a list of the bales available.